The indie broker-dealer also says its reps can begin using a mobile-check deposit app. 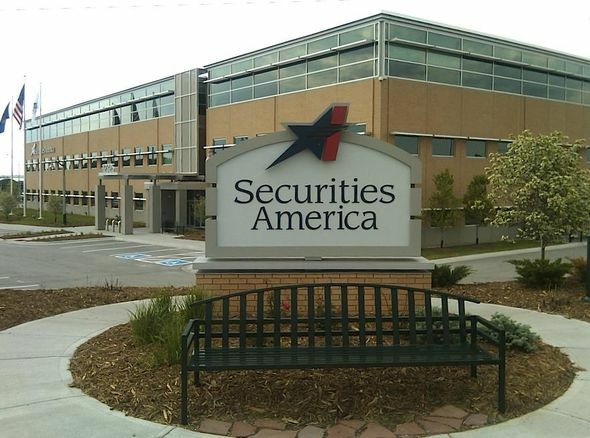 Securities America headquarters in La Vista, Nebraska. Securities America hosts its national conference in Austin, starting Saturday. The four-day event includes a women’s summit and will feature guest speakers Claus te Wildt of Fidelity Financial Advisor Solutions and portrait photographer Platon. “Our agenda changes every year to include the foremost thought leadership for helping advisors run successful financial services practices,” said Kirk Hulett, Securities America executive vice president of strategy and practice management, in a statement. By popular demand, Securities America says its conference will include SAM talks, the independent broker-dealer’s version of TED Talks, from four advisors: Minoti Rajput of Secure Planning Strategies, in Southfield, Michigan, who specializes in special-needs planning; Gina Van Baren of DeMotte State Bank in DeMotte, Indiana; Brad Schlang of Cedar Brook Financial Partners in Cleveland, who will discuss succession planning; and John L. Jenkins of Asset Preservation Strategies in San Diego. In addition to three preconference sessions, the event offers advisors access to 90 education sessions and home-office experts in marketing, practice management, wealth management, advisory growth and technology questions, through one-on-one coaching consultations. Securities America, part of Ladenburg Thalmann Financial Services Inc. (LTS), says Missy Escribano is the keynote speaker for the 2015 Super Women’s Summit set for Sunday. A licensed advisor, Escribano will share her thoughts on how to help clients stay in their own homes as they age. “For advisors, their clients trust them with everything else, including referrals for CPAs and estate planning lawyers, so this allows them to be prepared for the tough questions about their future care or care for a parent,” Escribano said, in a press release. “Each year the Super Women’s Summit provides the opportunity for learning and collaborating as part of our Connect national conference,” said Janine Wertheim, president of Securities America Advisors and senior vice president and chief marketing officer of Securities America, in a statement. On Thursday, Securities America announced that its advisors can use the Mobile Check Deposit feature of the NetX360 Mobile app from Pershing at no cost to its advisors. The app is available on iPad and iPhone and can be used for approved retirement and non-retirement brokerage accounts.